Here I wanted to share some images of the pictures you guys have bought and have shared with us of them either ready to hang or hung on your walls. 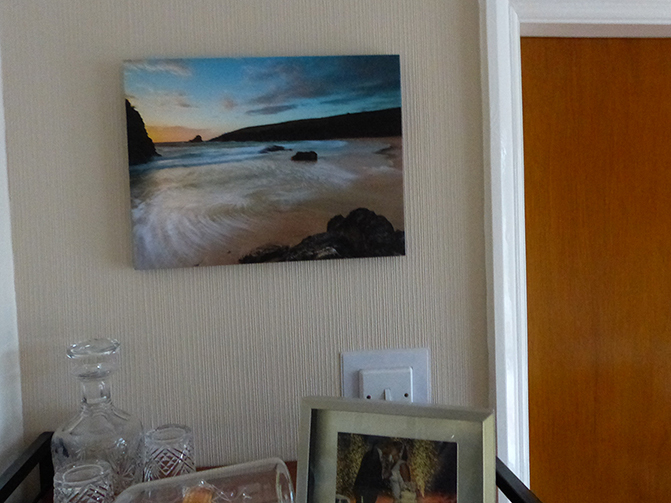 We recently bought a canvas of Treyarnon cliffs as a Birthday present for a relative. We were thrilled with the canvas, the quality of the picture was amazing. 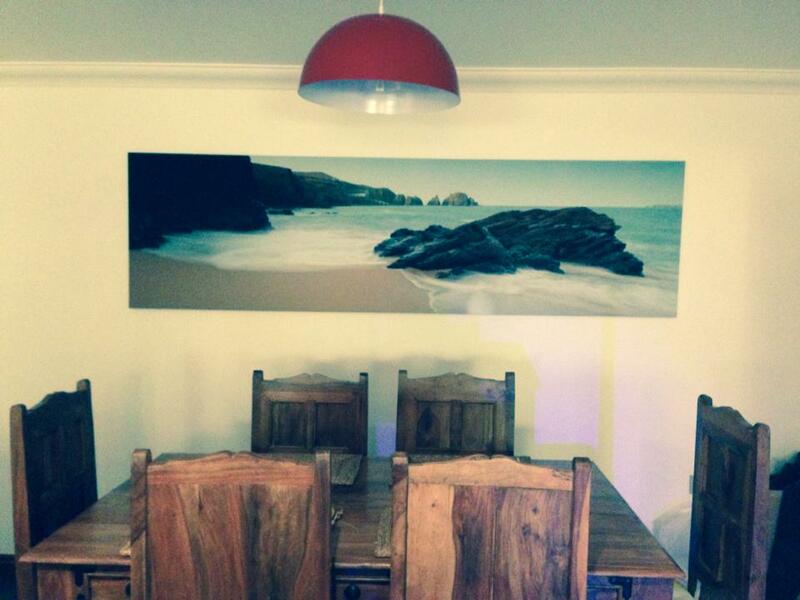 The service was fantastic too, I had a few queries and wanted a smaller size and Kingsley was very helpful. Once I had ordered the canvas we received it in 36 hours. Would highly recommend and shop here again in the future. 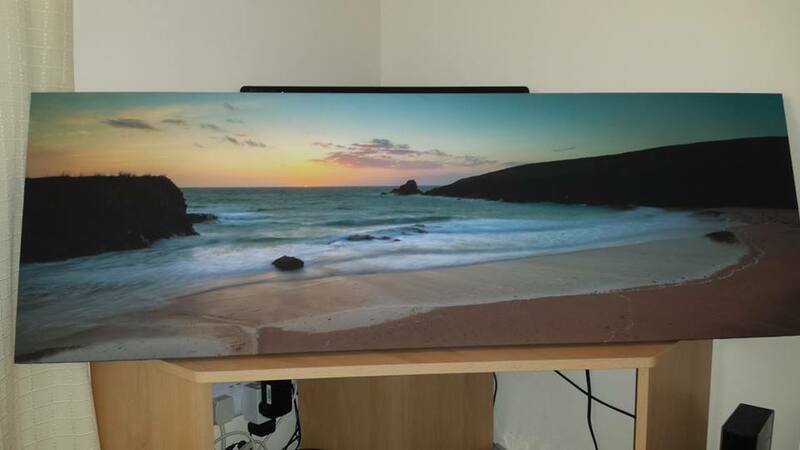 We purchased huge canvas photos of Mother Iveys Bay, Constantine / Boobys Bay and the sunset on Harlyn for our Cornish home. The clarity in the photos is phenomenal and on this scale it's like looking at a view on a beautiful day, rather than a photo. 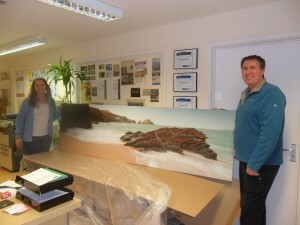 They truly are spectacular and Kingsley himself said it was a delight to see his work on such a large scale. Everyone who sees them is blown away and I never tire of looking at them. Thank you so much for capturing the beauty of our favourite beaches and bringing it into our home. 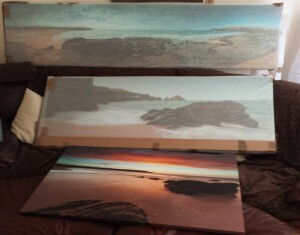 3 Large canvas prints sized specifically for the customers needs, If you require a size not listed on the site get in touch with the dimensions and we will get you a price. A recent moving in gift for a relative.